A supposed spec sheet for the forthcoming Nokia Lumia 1020 has popped up online, confirming, if it’s to be believed, that the 1020 will indeed be a photography-themed device, powered by a 1.5Ghz dual-core Snapdragon chipset on a modest 4.5-inch 1280 x 768 display. As we’ve seen in apparent photos taken with the device, the Lumia 1020 features the bonkers 41-Megapixel PureView sensor previously seen in the Nokia 808, alongside optical image stabilisation for blur-free snaps. Extra camera performance will be provided by a snap-on camera grip accessory, which also comes with its own internal battery for additional uptime. 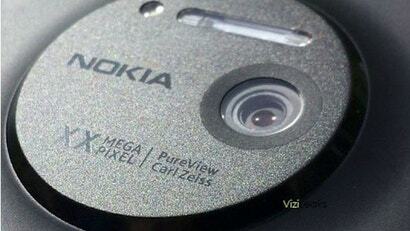 Without this, the Lumia 1020 packs a 2,000mAh capacity battery.